It is not often that a person becomes something. Those rare times when a great personal transformation occurs, one looks across the mountain range of life accomplishments which once held mystery, relevance, and the call to climb higher, and realizes that those crests marking the horizon are now small, distant hills. Epiphanies do not always come from high places. Nor are they always instantaneous. Sometimes the road to Damascus leads through the desktop computer screen over years of time. After trying on every IT hat on the rack, I gradually realized that there was one line of work that even IT people had trouble defining. It was a title that seemed amorphous, yet ubiquitous. Sometimes professional, other times amateur. Sometimes honorable, other times shameful. The title of “webmaster” could appear on any of the most popular religious websites as well as the most offensive pornographic sites. It seemed impossible to label. Every online business had a webmaster, but ask the executives what the webmaster does and listen to the cacophony of answers. During the process of chasing down the meaning of this elusive job title, I realized that I had become a webmaster. I cannot ascribe a place or time to becoming a webmaster, only a sureness that it had occurred. I remember reflecting on all the responsibilities a webmaster might perform. “I’ve been doing that for years,” I thought, as I checked them off in my mind. Had anyone ever taken the time to describe what a webmaster actually does? The typical surfer may conclude that a webmaster is someone who specializes in repeating clichés on websites. Everyone has surfed into a website that contains the phrases: “Webmasters Click Here,” “FREE,” or “Make Money!” or one of the many variations using all caps, exclamation points or bold text. If you haven’t noticed these clichés in your surfings, then I’ve got a hot beachside time-share affiliate program to sell you at a really good price. For me, the term, webmaster conjured up an image of a shady cowardly geek who would take advantage of any human weakness to make money. Pornographers, spammers, and eBay thieves are some obvious contributors to this association. The growth of a competitive Internet advertising market along with human nature have perpetuated the stereotype of the exploitative, greedy webmaster. These sorts of practices may keep whole countries from the Internet. Ever consider why a wealthy nation like Saudi Arabia restricts public access to the Internet? Now that the negatives are out of the way, let’s get down to the business of defining this unusual job title. The word “webmaster” should always be written as one word, not two. It most often appears as a noun or sometimes as the present participle “webmastering.” Occasionally it is abbreviated “WM.” The word “webmaster” derives itself from the obvious “web” and “master,” where “web” relates to the World Wide Web, and “master” implies control, responsibility, management or ownership. A short definition would be one who manages a website. But that explanation is blatantly deficient for today’s business world. Interestingly, no thesaurus entries appear for webmaster. There’s just nothing like it, is there? Although the above carries its weight as a good bread and butter definition, it doesn’t go far enough to satisfy. No matter what company for which he works, the webmaster always interacts with a “server,” whether on site or remote. The server is the field that he must farm. Notice the phrase “does not imply any particular level of skill.” Both webmaster@yahoo.com and webmaster@jimmysbaitntackle.com have the same title, though skills and responsibilities likely differ. How does one attain the most applicable definition of the job title? A recent listing for “Webmaster” from a large corporation appeared on HotJobs.com with the job description responsibilities summarized below. Capable of the design, development, implementation, and maintenance of customer web sites. Assist in coordination of web projects and provide guidance to web development team members. Responsible for coordination of all division web projects. Responsible for accepting design and content of official site web projects. Provide oversight of hardware activities related to site webs, and web related issues. Coordinate research, testing, and implementation of new web techniques. Devise solutions for solving customer problems using customer-furnished computer systems and equipment or commercial off the shelf packages. Design and build web pages using a variety of graphic software applications, and tools. Notice that the word, “responsible” continues to appear throughout these definitions. Most webmasters must depend to some degree on resources outside his scope of skills. Projects within the webmaster’s abilities may be outsourced simply for the sake of meeting deadlines. The measure of a webmaster is the results he produces. If he doesn’t produce, he and his company will suffer the consequences. There. Now we have it! Taking on the responsibility of webmaster calls for wearing a variety of job skill hats of varying sizes and colors, some likely fitting better than others. Besides common sense skills like customer service, punctuality, and upper management bootlicking, there could be said to be a minimum set of technical skills that webmasters should possess. Depending on the job requirements, the webmaster might draw from the skill set of writer, graphic designer, web developer, database administrator, network engineer or website marketer. A webmaster need not excel in all of these skills, but learning them will ease the task and lessen the degree of reliance on others. Keep in mind that as with other jobs, webmasters will be more skilled in some areas than others. It could be said that a website should tell a story. The main thrust of most current successful websites remains quality written content. Most sites require someone to create the mission statement, write copy for products, articles, newsletters, and respond to customer inquiries. A webmaster with well-developed writing skills and only minimal technical skills is capable of great success using the low-tech resources of thesaurus, grammar checker, and some buddies to proofread. As you may know, search engines love text and well-written content. “Never mind if it works; it looks fantastic.” A graphic designer may remark about his new GUI. A webmaster might not be expected to possess exceptional artistic talent, but should have an understanding of concepts like optimizing images for the web, layers, effects, etc. He should also be comfortable with one of the bread and butter 2D graphics software programs like Photoshop, Paint Shop Pro, or Gimp. There are also freeware graphics programs that can complement these. Some favorites are ZPaint and IconEdit32. More advanced graphics programs like Adobe Illustrator to design vector graphics, Flash for animation, or 3D Studio Max for 3D graphics allow a webmaster to greatly extend the visual appeal of a website or create graphics collections for visitors to download. Just as graphic designers may balk at number crunching, developers may shy away from aesthetics and simply ask: “Does it work?” Too often, web developers produce code that works, take the credit, and leave the webmaster to nurture and change the diapers of a website in it’s infancy. When this happens, the webmaster must seize upon his knowledge of web development software like Dreamweaver, ColdFusion or FrontPage. Taking on the role of web developer, the webmaster must produce code from scratch, cut and paste a free script snippet, or contract someone to create it. Installing, fixing or altering scripts is a commonplace task. Besides being comfortable with markup languages and cascading style sheets, a webmaster should at least be able to look at a script and trouble-shoot or modify it. Because companies trust database administrators with what is perhaps their most valuable asset, this position requires much expertise and accountability. DBA’s most always wear pagers and probably feel a sense of being needed wherever they go. They can often be distinguished by the various Oracle certifications aligning their office walls. In large companies, webmaster and DBA responsibilities tend not to overlap. Here, the job of DBA cannot be feigned. A good understanding of Structure Query Language (SQL) will allow the webmaster to write queries to a database when the DBA inevitably turns off his pager. What good is refined data if no one can access it? Or if the wrong people access it? Or if the speed of access is slow? Such are the concerns of a network engineer, another pager-wearing IT trustee, but concerned with server operability, connectivity, and security. Webmasters working for small companies often double as network engineers. They may be responsible for both hardware and software. Getting a few certifications under the belt is a good starting point for network minded webmasters. MCSE, CCNP, and CIW certifications will all leave webmasters with a good understanding of networking technologies, security, and hardware. Imagine what the web would be like without e-commerce and advertising. Would it look more like a library than a mall? Unless the webmaster manages an Intranet, Extranet or non-profit site, the job of website marketer will likely be an important part of his workday. One of the most exciting and competitive aspects of webmastering is learning to promote websites using search engine optimization and seeing revenue stream in from affiliate advertising. The webmaster should understand how to maintain a successful search engine strategy in case the website marketer has sold management on an extended leave. Webmasters who have learned how to adroitly optimize web documents stand to beat their competitors’ rankings. After learning affiliate advertising basics, many webmasters discover that making money with websites doesn’t require a marketing degree from an ivy league school. It is an art best refined by experience. In the end, the webmaster who tests different strategies and learns which ones work best for his sites wins. Most webmasters fuse some of these skills together to carve out their own identity. They may also easily be drawn into the tasks of project management, reporting, purchasing, legal, desktop support, customer service, psychiatry, etc. In a perfect corporate environment, at least one individual would be assigned to each of these positions. In reality, these responsibilities are intertwined among workers, especially in the case of small businesses. In some cases, webmasters take the burden of all these jobs on their shoulders. This stretches the definition of multitasking! Content management systems like those in the “Nuke” family, web log programs, and forum software will make all of the above jobs easier for the webmaster. They are often written in PHP and free under the GNU Public License. Most of these scripts don’t even require that a webmaster know how to write code to use them. If you are administrating a web site that requires lots of updates and has lots of user interaction, a CMS will probably allow you to have more features or help you save time. One of the first things I began to hear after realizing that I had become a webmaster was the phrase, “Content is king.” Content is the material presented on a website, which can appear in the form of readable text, graphics, forms, etc. or essentially anything that adds value to user experience. There are two ways to get content: create it or acquire it from someone else. There are vast amounts of free content available on the Internet for webmasters. Many Internet writers offer their articles for free publication in websites and ezines as long as their byline and link are included. Webmaster resource sites offering free scripts and graphics abound. If these don’t meet the standards, the alternatives are to partner with other websites to trade content or outright purchase it. Any decent monarchy has a pecking order. If content is king, then design is queen, code is the shield-bearer, and promotion is the jester. One of the classic mistakes that webmasters make is to place the role of jester before king. Promoting an unfinished website makes a webmaster look foolish before his peers. Typically, a seasoned webmaster creates, designs, tests, proofs, breaks, learns, fixes, and updates before selling. Nobility aside, the longer I am a webmaster, the more it seems like any other job in that the primary ingredients are hard work and smarts. At times webmastering resembles gazing at the Sistine Chapel while waiting for the paint to dry. Other times, it’s like cleaning the toilets on the Titanic. Both call for varying degrees of skill and patience. To my surprise, I didn’t have to create artistic masterpieces or write flawless code to become a webmaster. I had to produce results from a variety of resources, my own and those of others, something I had already been doing. Becoming a webmaster didn’t make the grass greener on my side of the firewall. It eliminated some of the weeds so I could see more of what was already there. 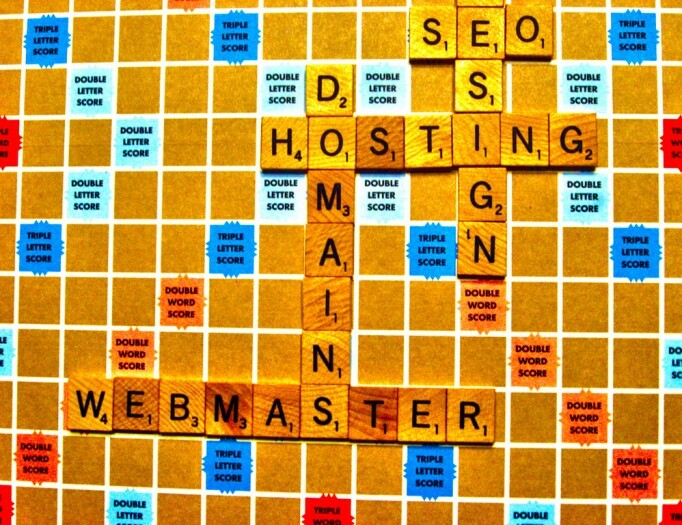 A very interesting report on the definitions of being a webmaster. Some useful information here, thanks. How vital is having database knowledge? I don’t know any yet, do I really need to learn SQL or can i get by without it?? 2 things. First, I’d say that because of the increasingly data driven age that we live in, understanding database fundamentals like tables, primary indexes and relationships is vital. Second, the hands on aspect of understanding how to write a SQL query can make your life as a webmaster much easier because you will be able to solve all sorts of problems. I’ve managed to skate by with minimal SQL skills, but some days I really wish I had more. i like it, clearly points out what a webmaster is, this is really help for those newbies who think owning a website can make them a great income. One more skill that is crucial these days: Familiarity with the basics of web application security vulnerabilities. Great Article. Really makes it easy for me to put it in perspective for my boss now. Thanks Scott. This really took some thought. I really wanted to try and nail down what a webmaster is. I keep thinking of more to say about this so I’ll have to update one day. Well! Am a bit speech-less of what to say, I only just started studing for the CIW, and I have problems getting materials, books, etc as there is not many info on this topic where i live apart from the internet. have been waiting for all i can say is thank you. subject I will be much apreciated. Best of luck on passing the test and furthering your webmaster journey. Feel free to stop in anytime. Webmaster is a person whose counter of Innovations Keep on Increasing when he is with web. Webmaster is the best Searcher of web. Just curious to know, some website has a line at the bottom “sitename @ 2008” or “Copyright @ 2008”. What is it means ? If my site not registered anywhere, can I put something like this on my site ? just a suggestion, to become a webmaster you must have knowledge about the ff. for preparation for my future. This is an interesting site, will visit more often ! Thanks for this article, I really like it! excellent. very useful for a webdesigner like me. thanks. I’m currently a Webmaster trainee. This is very useful information. Thank you very much Emory Rowland for a very clearly written and acurate article, and rather very interesting insight of a Webmaster. This article is wonderful! I am about to be a freshman in college and I was wondereing what a webmaster really does in full before I begin working toward my major. It seems very exciting and perfect for my needs of doing different things all the time. Thank you so much! This article was very helpful to me, I am very new to this industry and did not even know what a webmaster was until a couple days ago. If there is anyone out there that is willing to let me learn more about it from them I would greatly appreciate it. This article is great i am learning to be a webmaster. While trying to run my business in design your own t shirts hard work but very helpful. This is a great article and really lays out what a webmaster is and is not. I love that you have not taken the easy route of claiming that webmasters should know everything. There seems to be no way anyone can be an expert at everything website related… way too much out there. But it is more important that a webmaster know how to find the resources to get the job done. Maybe I’ll just become a writer after all. thank you very good article but in my existing web Duplicate meta descriptions and title tags Missing how do I fix this? Yuana, I don’t see duplicate tags in your site’s source code. Maybe you figured out the problem?